Since I began painting in acrylic vs. my usual watercolors, I’ve developed a routine. This routine of how I set up and arrange my paint, brushes, water, etc., makes me feel as if I’m emerging from beginner status. Setting up is more extensive than just pulling out my watercolors, but I like thinking about what I’m going to paint as I get ready. Because it is more involved, I do it less often. 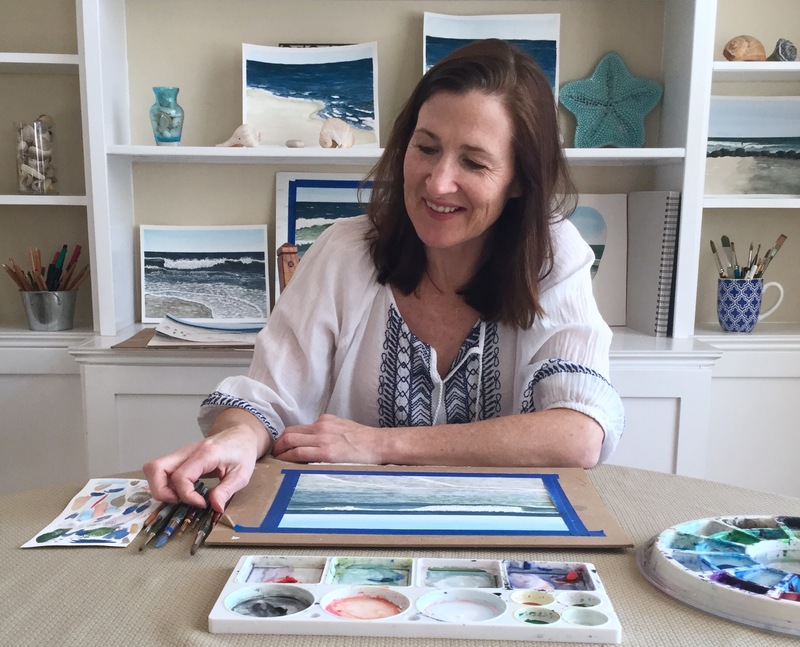 I find it’s most efficient to work on a few paintings at once, especially since I’m concentrating on the same subject – the ocean. 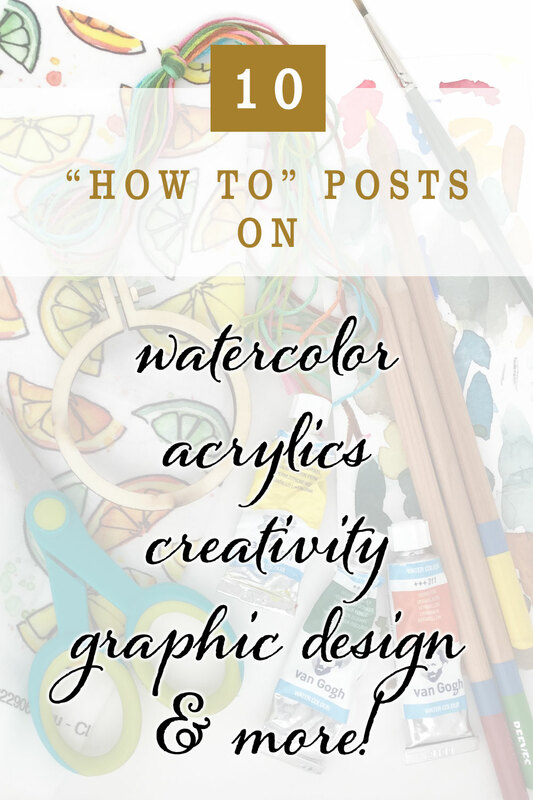 I’ve solved a question, I had way back in the early days of my blog, of whether to use an easel or not. I prefer to paint flat and like the 12” x 16” canvas size. It is a manageable size to paint on a table. I’ve learned that anything larger is too cumbersome on the table. For larger canvases, after banging them around a bit, I learned to put them on my easel. Maybe I’ll finally get comfortable using it. Early on I struggled with the first coat on the canvas – the canvas soaks up all the paint! I read that gesso helps the paint go on more smoothly. 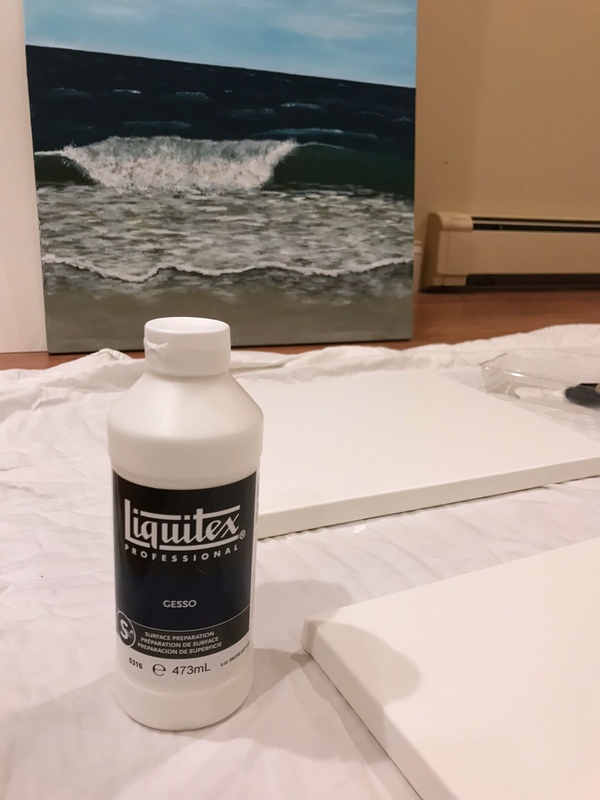 So now I apply a coat of gesso to each canvas before painting – wait 24 hours for it to dry – and then the paint goes on easier! Painting in acrylics is very different than watercolor. With acrylics it’s easier to blend and manipulate an area of the painting when the paint in that area is wet. Right now I have five new canvases gessoed and ready to go, and I’m excited about the possibilities. 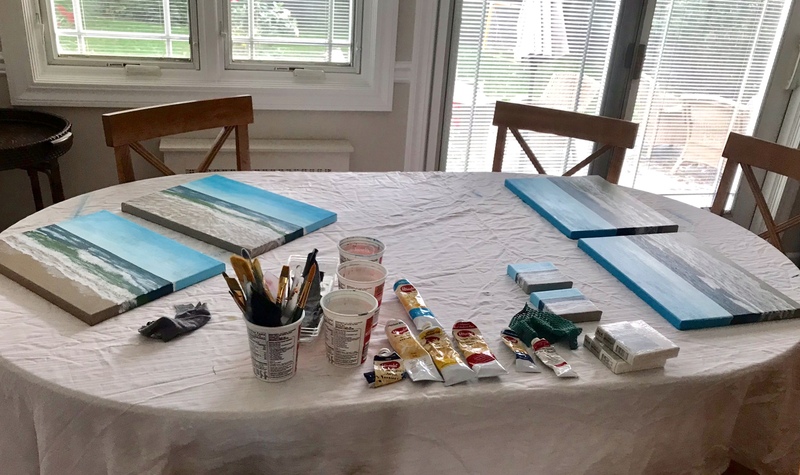 Starting this third set of canvases was the first time I felt comfortable – instead of frustrated – with acrylic painting. I was working on my first layer, blending all my colors on the canvas, and I had that feeling that I usually have with watercolor. It’s a happy, satisfied feeling, that what you are picturing in your mind is coming out on the canvas. I’m learning how to work the acrylics. I’m getting it. The first layer of this painting felt like a break through. 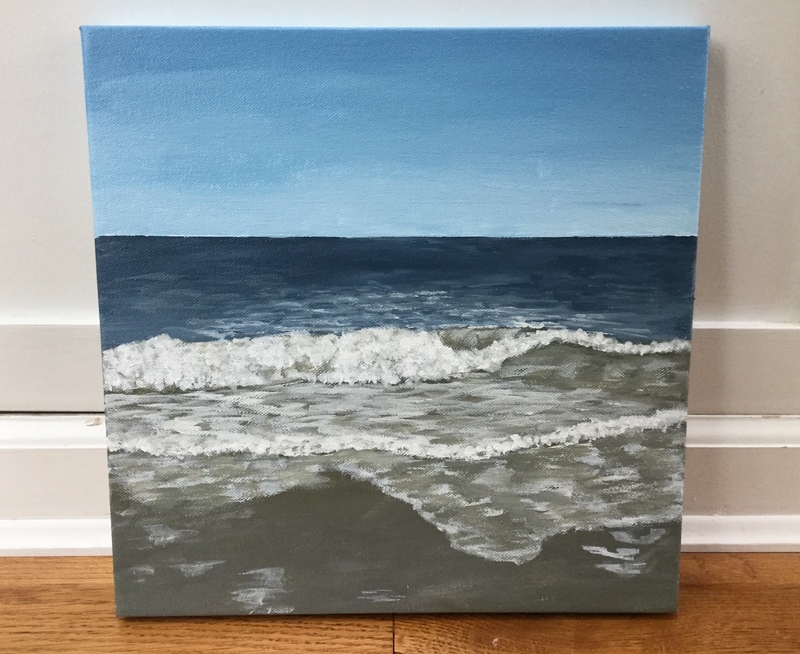 Categories: Acrylic, Acrylic seascapes | Tags: Acrylic seascapes, From watercolor to acrylics, Learning acrylic painting | Permalink. With 10 sets of 12” square canvases to complete this month, I have many paintings in various stages. For these 2, the second set of my acrylic canvas challenge, I wanted to add more lights and darks within the green of the wave. (See before below). I’m learning that with acrylics, it is better to work on a whole area of a painting to better blend the paints and create highlights and shadows. To do this, you need all those colors mixed and ready. I realized this yesterday when I tried to just add some highlights. Without the dark paint to blend into, my quick tweak didn’t go well. Today I sat and mixed the paints and worked on finishing these. I was beginning to regret fussing with the paintings at all – you fix one area, and sometimes ruin another. At a certain point you have to call a painting done, and take what you learned to the next painting. Overall I’m happy with my progress so far this month. 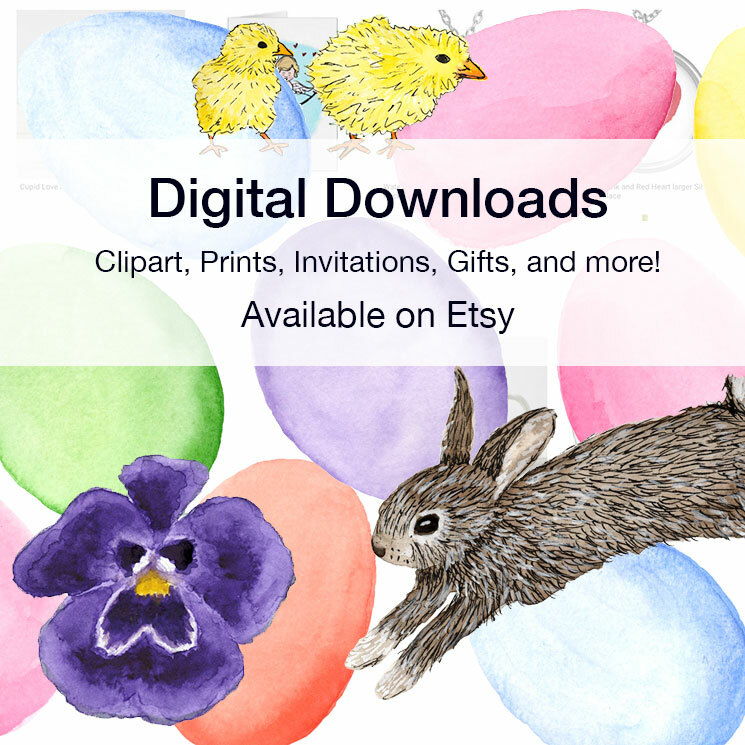 Categories: Acrylic, Acrylic seascapes, Uncategorized | Permalink.